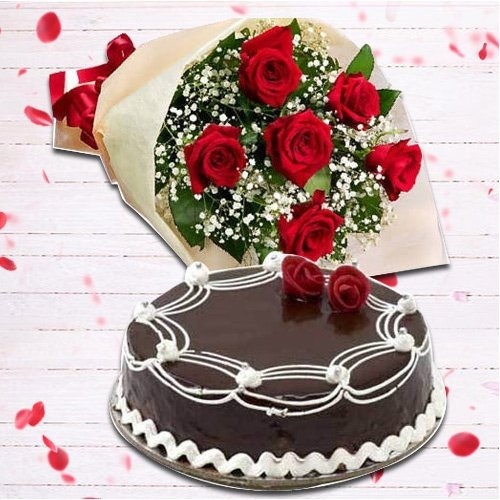 Treat your special ones by ordering online this Radiant 6Pcs Red Rose Hand Bunch and 1Lb Chocolate Cake for them and show how special a place they hold in your heart. This exotic Hand Bunch is complemented with 6Pcs Red Rose and 1Lb Chocolate Cake to add an extra flavour to your happiness. This Hand Bunch is decorated with Pink Cellophane and a Red Satin Ribbon.